The Extreme Pak™ Pink Cooler Bag with Zip-Out Liner is perfect for the beach, lake, pool, or that trip to the park with the kiddos. 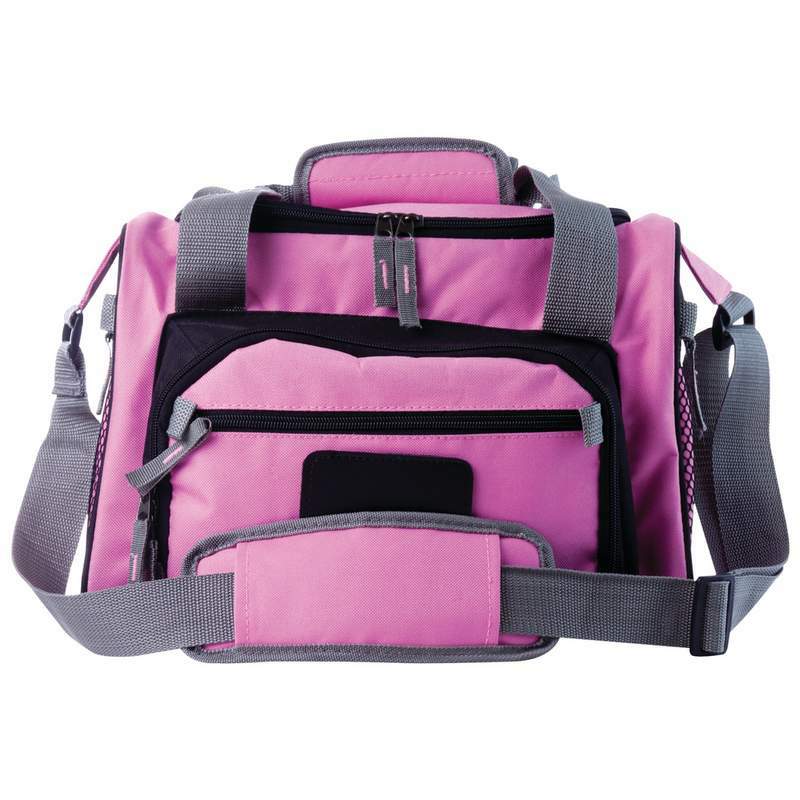 Bright pink in color, this cooler bag is as sturdy and durable as it is fashionable. Use it to pack your lunch and everything else you need for the day at work. The zippered-closure main compartment will hold enough food and drink for your planned outing. Features 2 zippered exterior pockets, 2 zippered side mesh pockets, roomy zippered main compartment, hand straps and an adjustable shoulder strap. Polyester construction. Measures 12-1/4" x 9" x 9-1/2"